When in need of on the water assistance, knowing what to expect makes the experience safer and calmer for everyone involved. This basic outline explains what happens on a typical tow and will help you manage your expectations should you ever need this type of assistance. If there is no impending threat to life, property or environment, contact MARINE ASSIST via cell phone at this toll free number (866)227-8539. We can also be hailed on marine VHF radio channel 16. We use VHF Channel 11 for our working channel and will transfer you there once communication is established. When using the VHF, hail MARINE ASSIST TOWING three times, either on VHF channel 16 or on your area's MARINE ASSIST working channel and give your vessel's name. Once a call has been made to MARINE ASSIST , keep your radio on at all times and keep an active radio watch. The responding Captain or base station operator will be calling you on the radio for updated positions. Once the Captain arrives on scene he will either tie alongside your vessel to deliver parts or fuel or attach the towline to provide a tow. The line will attach either by the bow eye or on a bridle on the cleats of your boat. The Captain will tow your vessel at speeds ranging from 5-10 knots based on weather conditions and other safety factors. If possible, the Captain will maintain radio contact under way between his vessel and yours. The Captain will either tie alongside your vessel or put you on a shorter tow line once inside a port and will place you into your slip or next to a dock. It is very important that you listen to the instructions of the Captain and keep clear of the tow line. It is also important to keep seated while under tow and keep children in proper PFD's and away from equipment and lines. Keep in mind, MARINE ASSIST is a commercial service that you pay for when needed, unless you have an active membership in advance. When you call MARINE ASSIST to request service, you are entering into a binding contract with us to provide that service for you. Payment is expected at the time service is rendered. We will secure a credit card up front to pay for these services. If, after requesting and authorizing us to respond, you continue to look for a good samaritan or friend to come get you for free, be aware there may still be charges due to us for the time we have already invested in manpower, fuel and other expenses. Quite simply, if you want to be towed for free and don't want to take the chance on finding a buddy or good sam, buy a membership! It is about the least expensive thing about boating! What is An Emergency on the Water? The best way to ensure avoiding problems on the water is to be prepared. If a situation does occur, part of being prepared is knowing what kind of a situation you are dealing with and who to call for assistance. If there is any imminent danger to life or property, then you are in an emergency situation so contact the proper local authority. 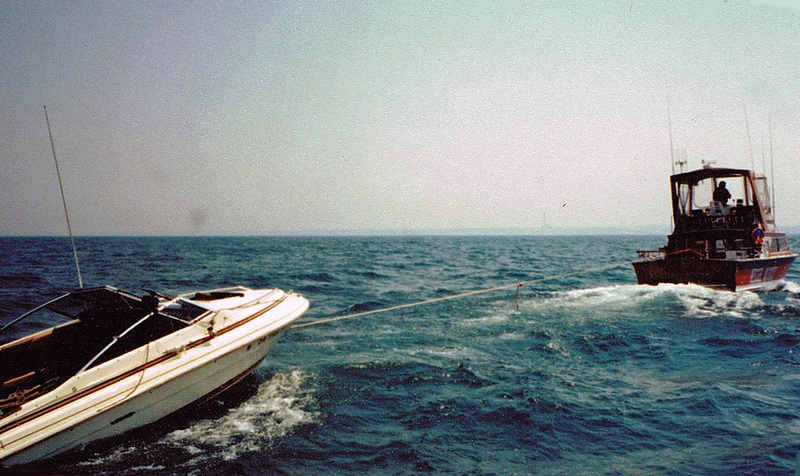 Non-Emergency Situations- Call MARINE ASSIST TOWING on VHF Channel 16, or on a cell phone. Understanding the severity of the situation and contacting the right party will save valuable time in correcting the problem or saving life and property. What are some examples of the questions that MARINE ASSIST will ask if I am in need of assistance or towing? When you call MARINE ASSIST, the dispatcher will first ask you if you are in immediate danger. If you are not, they will proceed to ask you for information including your name, the nature of your problem and the location and a description of your boat and the on-scene conditions. If you are a program member, they will also ask for the information on your membership card. If you are not a MARINE ASSIST member, the dispatcher will also ask for your credit card information to secure payment for our services. Once dispatched, there is a minimium charge for our run time. KEEP YOUR MEMBERSHIP CARD ON THE COVERED VESSEL. Will MARINE ASSIST bring me fuel or oil if I need it? Yes. Your valid MARINE ASSIST membership entitles you to delivery of emergency parts, fuel, or other engine fluids, subject to availability. The only charge to the member is the actual part or fluid. If I need a tow from my home slip to a repair yard, launch ramp, or other destination, is this service covered? MARINE ASSIST will provide this kind of service on a “partially covered” basis. Since this service is deemed an "elective" service, not disabled and adrift. Valid MARINE ASSIST members will receive a discounted rate on these services, but they are not totally covered. If I need a jump start in my slip, does my MARINE ASSIST membership cover me? Yes. MARINE ASSIST will do a jump start when the vessel is adrift or at a berth or launch ramp. What is the difference between "soft ungrounding" & "salvage"? 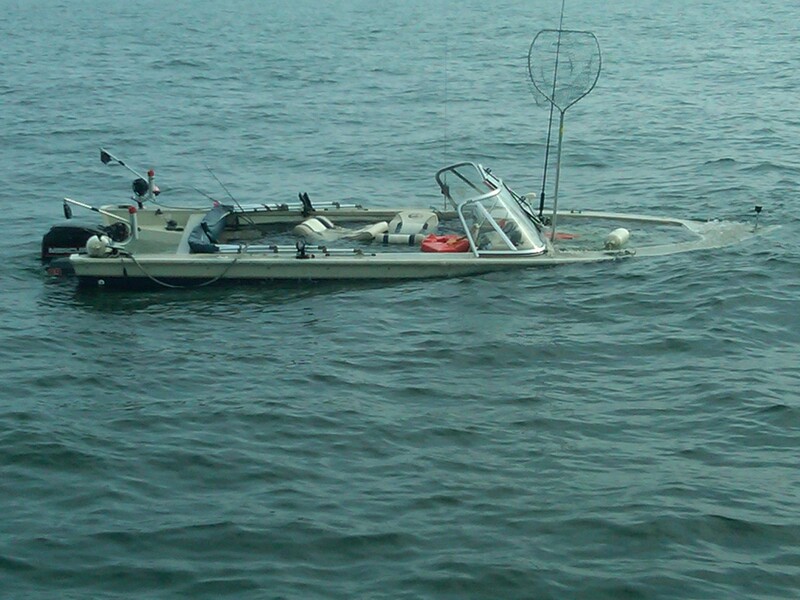 If the vessel is surrounded by water and can be pulled back to deeper water within 15 minutes by one towing vessel, and there is no hull damage it is deemed "soft aground". 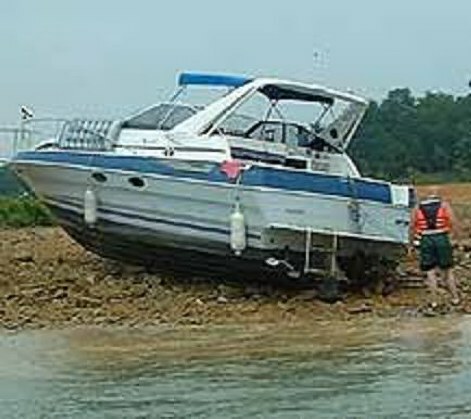 Usually when you're "soft aground" we can remove you from the obstruction within 15 minutes, without the assistance of divers, flotation equipment, extra vessels, etc. The first 15 minutes of service for soft ungrounding with one tow vessel is a covered service with your valid MARINE ASSIST membership, assuming there is no damage to the vessel's hull or running gear from the grounding. When it takes more than 15 minutes to unground a vessel, or if it is out of the water on the shoreline, or if there is damage to the vessel's hull or running gear, the vessel is determined to be hard aground and may be subject to salvage laws. You should ask your marine insurance company to make sure salvage operations and vessel recovery is covered under you current policy and if there is pollution coverage as well, as many times damaged vessels leak fuel and oils into the environment, causing expensive clean up bills and fines.